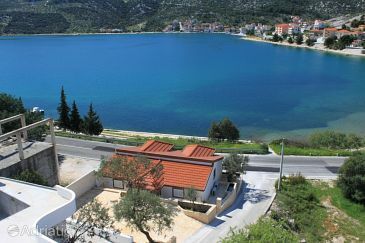 Last minute offers on Trogir apartments, villas and hotels. Book your accommodation in Trogir now and get up to 30% discount. Trogir, the hub of the Trogir Riviera is a place with roughly 13000 residents, located in the center of Dalmatia, 20 km to the west from the town of Split. Trogir is linked with main Europe towns via effectively managed airline network. Airport Split is just 3km from Trogir; so actually, you are simply couple of hours away of our stunning city. Almost everywhere you go in Trogir region, you will encounter quite pleasant and pleasant people, smooth mix of Southern temperament and warm hospitality, as a result of our extensive tourism tradition. Besides top quality accommodation in hotels, holiday houses, apartments, camps and homemade delicacies, particularly seafood specialties, Trogir also provides a wide range of sporting activity and entertainment. The shoreline of the Trogir Riviera is split up with small coves, peninsulas, and islands with rich Mediterranean vegetation, still protected in its authentic form. Trogir is a pearl of a town framed in 15th-century walls. Very small ancient streets wind via the charming town exposing secret taverns and stylish galleries. A large beachfront boardwalk snakes around the town, finishing in a lovely harbor packed with sailing boats waiting to take you to the islands of Drvenik Mali and Drvenik Veli with their beautiful sandy beaches and hidden bays. Do you need to book last minute hotel or apartment in Trogir ? This is the best moment and the perfect location. Take a look at our fantastic last minute apartments, villas and hotels in Trogir and take advantage of discount rates as much as 35 % One aspect where you are at clear downside when booking last minute in Trogir is air flights. Planned airline flights almost regularly increase their prices the closer you reach departure, particularly in the course of the top summer season. This isn't a problem with package deals, obviously, they include flights. However the majority of apartment real estate agents now offer rental-only last minute deals, so you have to buy the air tickets by yourself. With Trogir-Rentals.co.uk collection of last minute offers, you can enjoy that much-needed summer vacation for less! Apartments Dijana town of Trogir price per day from € 40 Apartments Dijana is set 500 metres from the historic centre of Trogir. It presents modern air-cooled apartments with an outdoors terrace. All apartments are sunny and comprise a living area with a sofa, a flat-screen satellite television, a well-equipped kitchen and a dining table. Featuring a shower, private toilet also comes with a hairdryer. The closest grocery store is 100 metres from the Apartments Dijana. Apartment Marina town of Trogir price per day from € 60 Set 250 metres from the beach, Apartment Harbour presents free internet access and air-cooled interior. The accommodation presents a balcony with seating area providing sea views. The UNESCO-listed Old City of Trogir is 3 kilometers away. This apartment provides a sofa seating, flat-screen satellite tv and a well-equipped kitchen with a dishwashing machine and dining area. Featuring a bath, private toilet also comes with a hairdryer and free toiletries. Apartments Filip town of Trogir price per day from € 60 Just a-5 minute walk from the beach and 600 metres from the UNESCO-protected Old City of Trogir, Apartments Filip presents air-cooled accommodation with furnished balcony. Free internet access and free car parking are also provided. This apartment comprise a seating area with a LCD satellite tv and a well-equipped kitchen. The toilet with a bath tub includes a washing machine. There is a dining establishment, bar and a grocery shop within a 300-metre reach from the Filip Apartments. The Old Town preserves the Basilica from the 13th century, as well as the Citadel Kamerlengo. 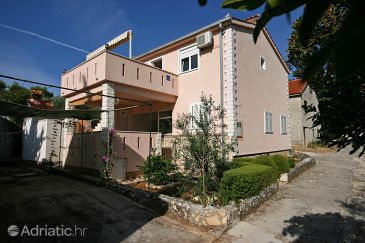 Apartment Ive town of Trogir price per day from € 47 Gratis wireless internet and a sea view are offered at Apartment Ive. The apartments are quietly positioned near the centre of Trogir, 700 metres from the St. Lawrence Basilica with the widely known Romanesque portal. The apartments are air-cooled and include a balcony or outdoors terrace with views of the city centre and sea. Each apartment also comes with a well-equipped kitchen and a private toilet. 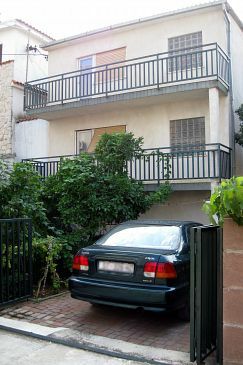 Apartment Ive presents free car parking, and is less than a 10-minute walk from the Green Market and the Trogir Bus Station. Air-conditioned accommodation, close to the beach, Trogir town of Trogir price per day from £ 67 The accommodation is entirely equipped with everything to make your vacation pleasurable. General details: air conditioner, heating, fitness, hair dryer, barbecue, parking. Entertainment and Sport: TV, Satellite television. Air-conditioned accommodation, max 8 persons, Trogir town of Trogir This roomy house is founded in the residential area of Trogir and in its brightly colored rooms can provide you anything you need throughout your stay in this attractive city. General details: air conditioner, fitness, garden, barbecue, parking. Entertainment and Sport: boat, TV, Satellite television. Cheap accommodation, close to the center of town, with AC town of Trogir Trendy house will provide all things you need for your most suitable vacation. Visit the many historic and cultural sites and take memories from holidays as charming souvenirs. Entertainment and Outdoor activities: TV, Satellite television. Distance to the ferryboat: 30km. Distance to the beach: 3km. Distance to the train: 30km. 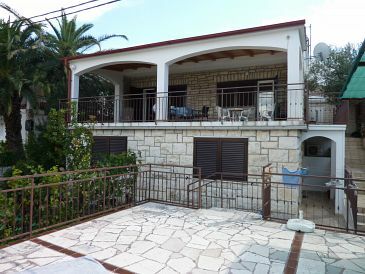 Accommodation near the beach, 200 square meters, with garden town of Trogir House is positioned in the center of Trogir. As a result of its location, this house is truly attractive. Sightseeing will be easily accessible and all attractions you can visit on foot. Entertainment and Outdoor activities: TV, Satellite television. Distance to the restaurant: 100 m. Distance to the beach: 10 m. Distance to the bar: 10 m.
Accommodation, 280 square meters, with terrace town of Trogir This holiday accommodation in Trogir is roomy and modern, and the rooms are very well equipped, with all the equipments. The house is surrounded by a Mediterranean garden with a barbecue. Book summer house for family holidays in Croatia. Entertainment and Outdoor activities: boat, TV, Satellite television. Distance to the ferryboat: 40 km. Distance to the beach: 50 m. Distance to the bar: 900 m. Distance to the restaurant: 150 m.
Room Mira town of Trogir price per day from € 40 Situated within the UNESCO-protected Old City of Trogir, the air-cooled Room Mira presents gratis wireless internet access. The property is 100 metres from the Basilica of St. Lawrence, and approximately 500 metres from the closest beach. Complete with a fridge, the dining area also has an electric kettle. Rooms Pasike town of Trogir price per day from € 41 Please note that the check-in and key-collection happen at: Sinjska 3, 21220 Trogir. Please inform Rooms Livia in advance of your expected arrival time. You can use the Special Requests box when booking, or contact the property directly with the contact details provided in your confirmation. Villa Ruzica town of Trogir price per day from € 40 This captivating ancient stone house enjoys a secluded location right in the UNESCO-protected centre of Trogir. It presents air-cooled rooms with gratis wireless internet access. The Vacation home Ruzica has an inviting outdoors terrace on the upper floor, which is exceptional for spending relaxing hours in the evening. All rooms come fitted with a lcd tv and a private toilet with a shower. 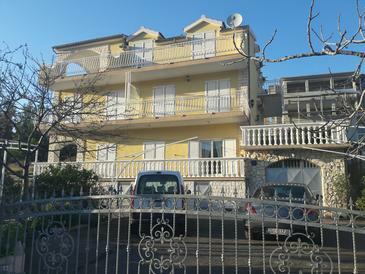 Villa Ruzica is 100 metres from the harbour and the closest supermarket and the bus station. The next dining establishment is just 70 metres away from the Villa Ruzica.